Rowing Together for Healthy Minds (RTHM), was started in memory of René Zamudio, who took his own life in January 2017. René learnt to row at Bristol University before moving to Imperial College to continue his rowing and academic study. His death was a shock to all that knew him, he was the last person you would think to be suffering from mental health issues as is often the case in situations like this. RTHM aspires to raise the profile of mental health in rowing, to inform athletes and coaches about the symptoms of depression and other disorders, and ultimately to make it easier for someone like René to reach out for help in future. Partnering with boat clubs across the UK. Selling our universal charity tech tops. These high-quality Rival Kit tops will be worn by athletes from all clubs at races throughout 2019 including BUCS Head and Regatta, Quintin Head and the Head of the River Races. Supplying a free poster to all affiliated clubs that outlines the club’s commitment to prioritising the mental health of its athletes. Donating all profits to our partner charity, Mind. They offer information about mental health and provide support to anyone affected by these issues. Inform and educate others on mental health via our social media accounts @rthm_uk on Instagram, Facebook and Twitter. Whilst the Senior Squad has taken the lead at LRC, getting in contact with RTHM and setting up LRC as an affiliated club with the charity, all members are encouraged order their own tech top from the link below and support this worthy cause. 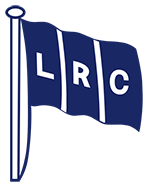 The LRC order window is open until the 8th February, with delivery of the tops to the club on the 27th February.